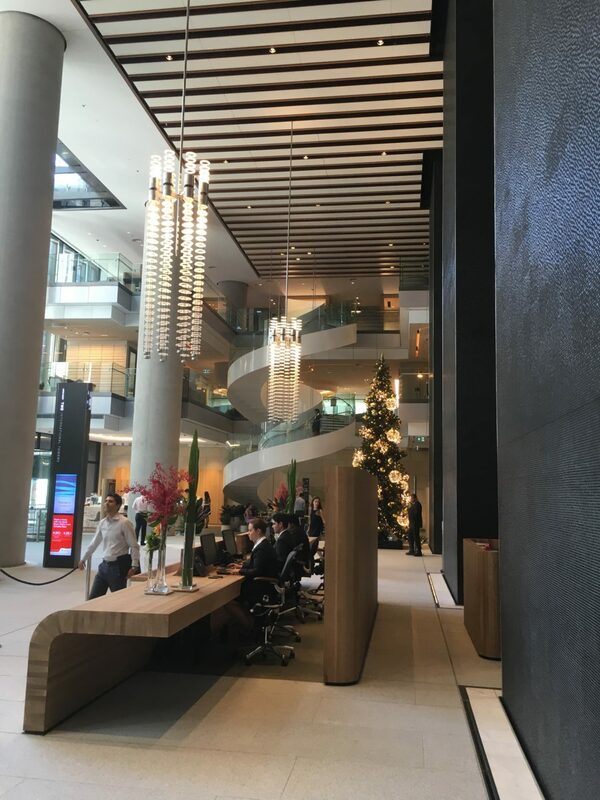 BCG manufactured curved heat strengthened laminated glass panels for the feature stair to the entry lobby of the first completed commercial tower at Barangaroo – International Towers Sydney (ITS) 2. 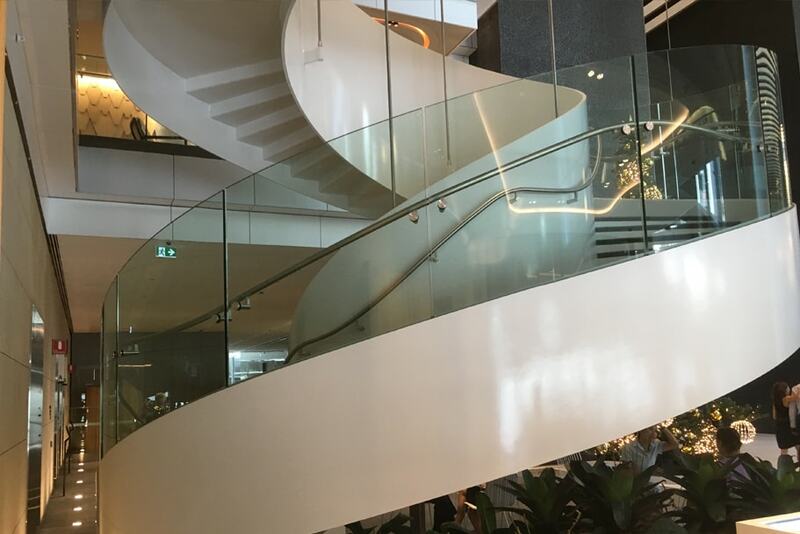 Working closely with Woods Bagot Architects and fabricators F & D Normoyle Engineering, BCG assisted with the fine tuning of the detail design. 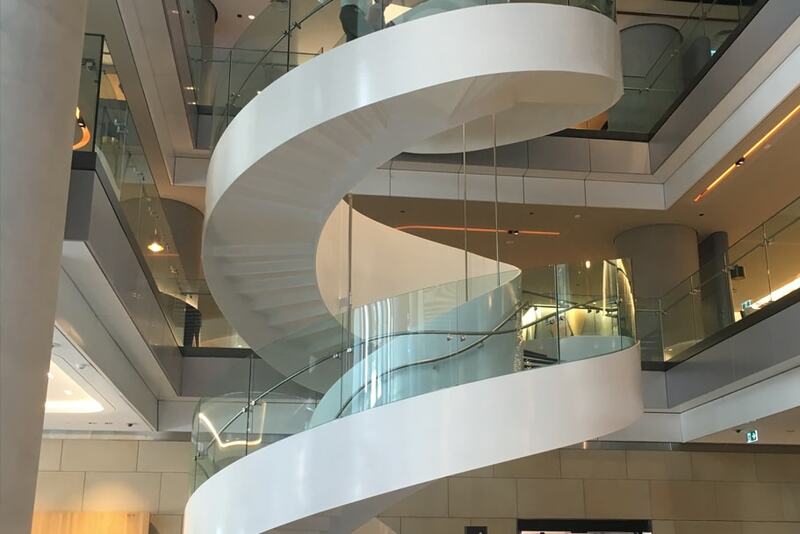 BCG’s precision bending and laminating processes provided the quality of finish and timely supply required to ensure the successful completion of the project. 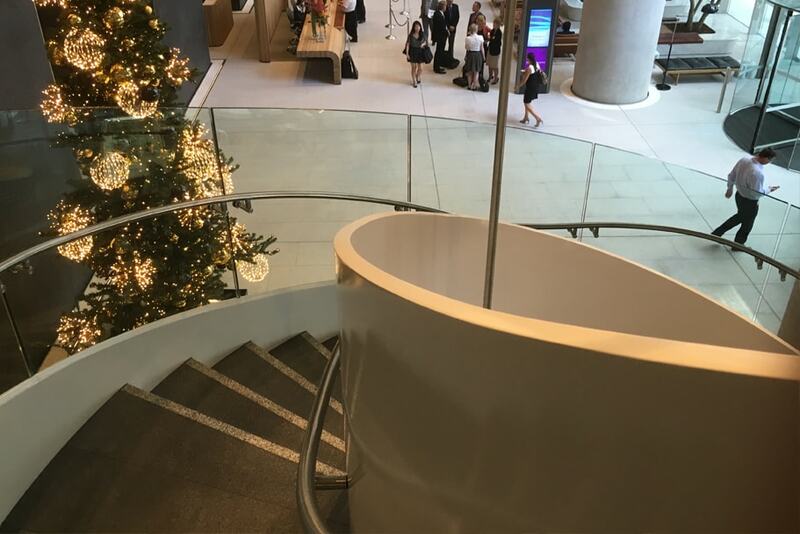 The outer balustrade is made up of 35 uniquely shaped and raked 21.52mm thick frameless glass panels. 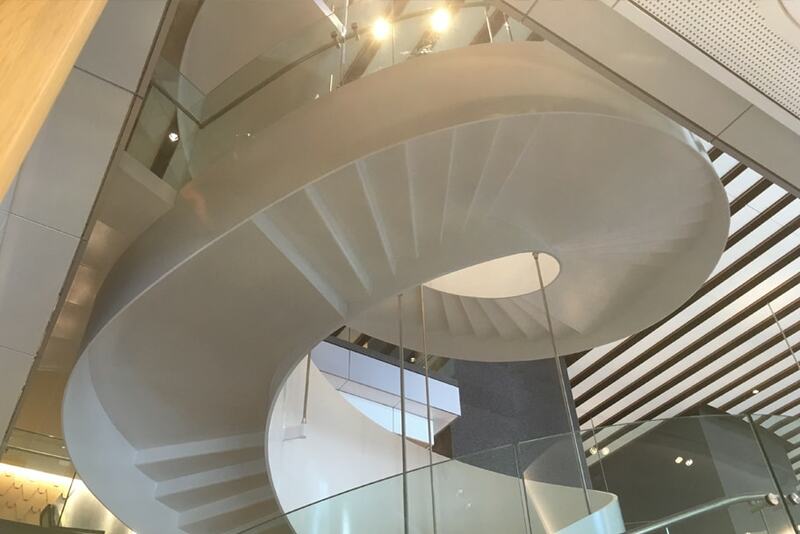 The continuous stringer spirals to create a dramatic seamless sculptural form reminiscent of an unfurling ribbon cascading down through 3 levels. 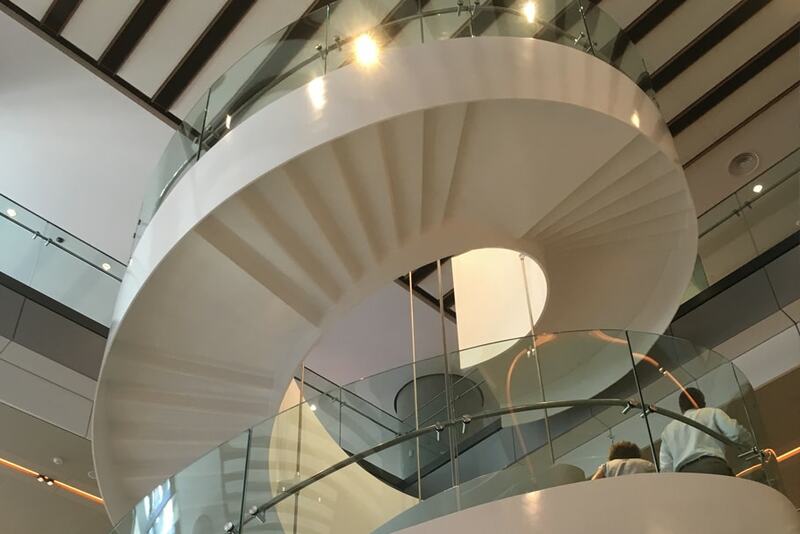 The stair connects the entry level to the open plan mezzanine levels overlooking the grand atrium style foyer. The flow of people up and down adds to this dynamic vibrant space creating movement and visual connection within the overall volume.